South Korean consumer electronics giant LG has come up with their latest flagship smartphone known as the LG Optimus G, where this particular LTE device is said to deliver superior user experience for “Living Without Boundaries”, whatever that means. This new premium flagship device delivers a totally unique User Experience (UX) that is supported by innovative hardware performance. The kind of hardware located underneath the hood is said to be powerful enough to deliver a creative and engaging UX which will allow Optimus G owners to, in the aforementioned words, “live without boundaries.” Just what kind of performance does it pack? Let us check out right after the jump, shall we not? For starters, it will feature the powerful quad-core Snapdragon S4 Pro processor alongside the rest of the industry best technologies for enhanced viewing and longer battery life, all crammed into a beautiful sleek design and innovative UX features. LG hopes that the Optimus G will be able to deliver the kind of experience that you cannot find on other smartphones in the market, but we do wonder just how lofty this particular claim is in comparison with other flagship models from rival manufacturers. For instance, the QSlide Function displays a couple of different screens simultaneously on a single display. It will not only show off a part of the screen but the entire screen of both functions, where the user will be able to be more productive, completing two tasks simultaneously, including sending a text message or looking for something on the web while watching a video. Not only that, Live Zooming allows one to enjoy an ehanced video-watching experience as users are able to zoom in up to five times while the video is being streamed for an up close and personal experience, such as reliving your child’s recorded video from a school recital. Other hardware specifications include Android 4.0 Ice Cream Sandwich, a 4.7-inch WXGA display, 2GB RAM, a 13-megapixel camera at the back with a 1.3-megapixel shooter up front, a 2,100mAh battery, Bluetooth 4.0, Wi-Fi, and USB connectivity alongside DLNA and NFC support. 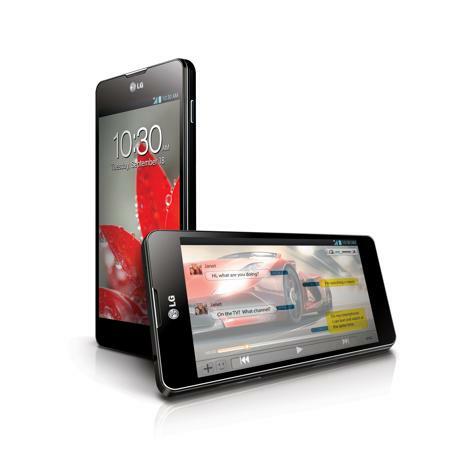 Are you interested in the LG Optimus G as your next flagship device?